For McDonald and Wolfe, this marks the second new species they have described from the Menefee Formation. Invictarx zephyri, a new nodosaur, was introduced in a paper last August. This fossil was also digitally scanned and is also available online to download. Correction: A previous version of this article stated that D. dynastes is the second known tyrannosaur from Laramidia. 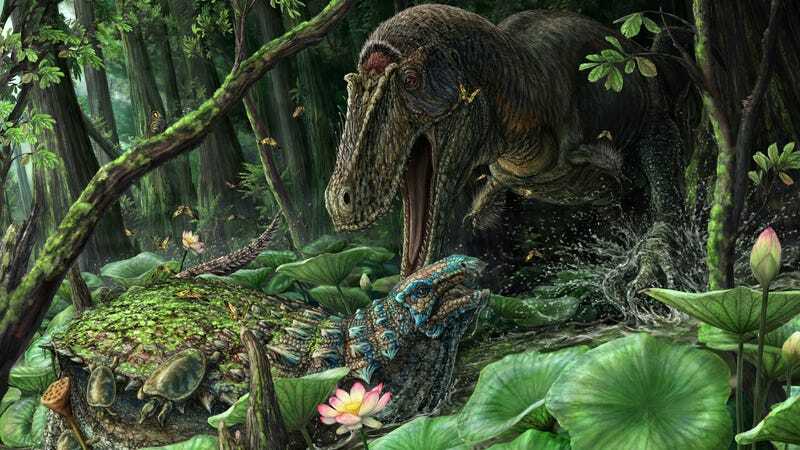 In fact, it is the second known tyrannosaur from Laramidia from 80 million years ago (other tyrannosaurs have been discovered from other time periods). We regret the error.